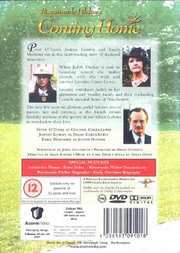 Judith Dunbar`s parents leave England to go and live in Singapore, so they have to send Judith to boarding school. On her arrival she makes friends with the carefree and fun-loving Loveday Carey-Lewis and the two become the closest of friends. Loveday soon introduces Judith to her glamourous and wealthy family, complete with a collection of interesting and bohemian friends. When Judith`s eccentric guardian dies, the Carey-Lewis` become her surrogate family, and Judith finds the next few years the most joyous of her life, but she is unaware that the spectre of war hangs over everything she holds dear.